when boohoo got in touch with me about the charity campaign they're running for the stroke association, i barely had to ask for details before deciding to be involved, regardless. stroke is something that has affected my family and the lives of those around me - on more than one occasion in my life, and so i couldn't think of a charity i would naturally want to work with more. 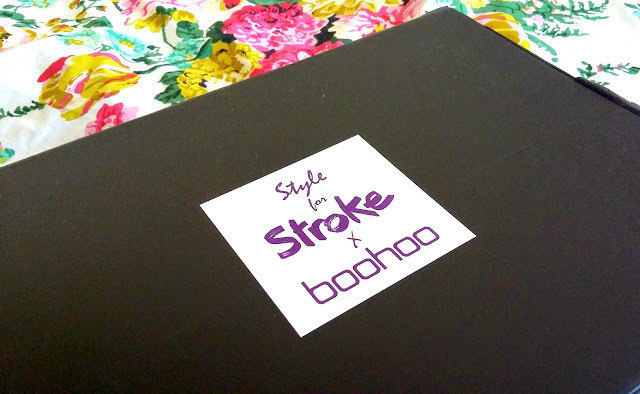 boohoo's style for stroke campaign is designed to help raise awareness of stroke in younger people - something i wasn't completely aware of until recently when a close friend of a family friend died suddenly of a stroke - while pregnant - in her mid thirties. the baby was saved, thankfully, but there was nothing they could do to save the mother. shocking, right? to be completely and otherwise healthy and then to just be gone in a matter of hours, is such a scary thought. especially when it doesn't ~always happen that way. when i was about nine or ten, my grandad had a stroke. 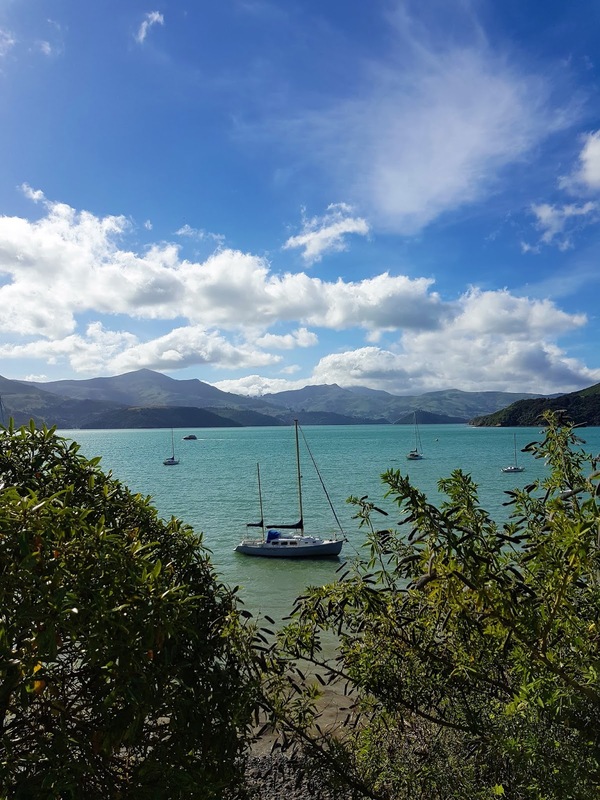 he was living alone in new zealand, and he just - had a stroke. no one knew for days that he wasn't well until finally someone - i think my uncle, but i can't remember, maybe a neighbour, went in to check on him and found him collapsed in a heap, where he'd been unconscious for days. that was the mid nineties, and he went on to live until just last year when he passed away of old age - a couple years off hitting 100. that's not to say he lived a ~good and long life, at all. he was not himself after that; i never really saw my grandad again. i'd visit when i lived in new zealand, and we'd see him at christmas, but he never had anything to say, and was a shell of his former self. my mum tried hard, bless her, but for me - a kid who barely saw this man anyway, it was hard work. eventually, i gave up trying. he didn't know who i was when i visited, and called me by her - or my younger cousin's name. he had no memories of me. that's what stroke was, in my mind. something that changed a person for the worse. that stripped someone of their personality, their laughter, their moods, their memories, and replaced them with nothing but blank stares and lots of questions. but.. it didn't equal death. until it did. but it wasn't stroke that actually killed him - it was his age. isn't that funny? then there's gran. not my gran, but i wish she was. she's the gran of my best mate, who took me in and treated me as if i was one of her own. in lieu of ~actual grandparents who didn't know who i was anymore, gran didn't care that i wasn't hers at all, and welcomed me with open arms and bespoke meals that always catered for my ridiculous allergies. she was one of the warmest women i knew, and long after i left new zealand and stopped seeing her, she still asked after me and kept me in her thoughts. she had a stroke last year too. she was older than my grandad when it happened, and sadly, it ~did take her away. not instantly, thankfully. a little while later - weeks, if anything, but long enough for people to say their goodbyes. not like my friend's friend whose stroke forced a baby to be born without its mum. 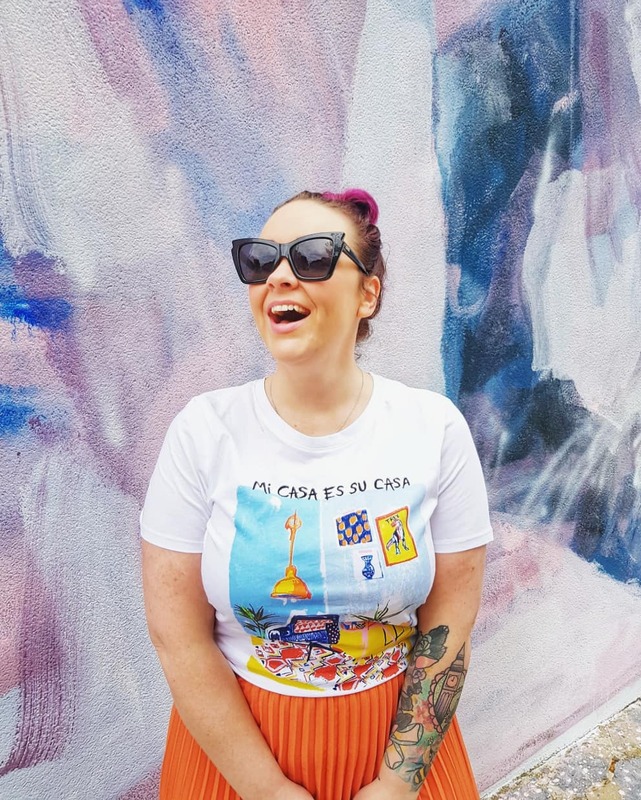 so yeah, i've been affected by stroke, and as such, wanted to be part of boohoo's campaign to create a slogan tee based on the idea of 'famous last words'. 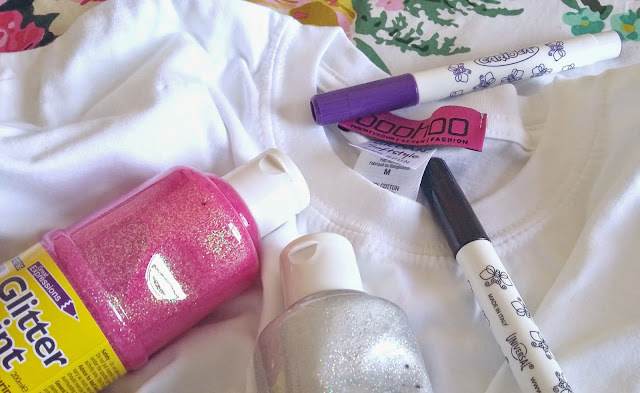 they supplied the tee and some pens, and challenged a bunch of bloggers to come up with a tee of their own that really captured their famous last words. mine was always going to be unicorn related, right? no doubt. 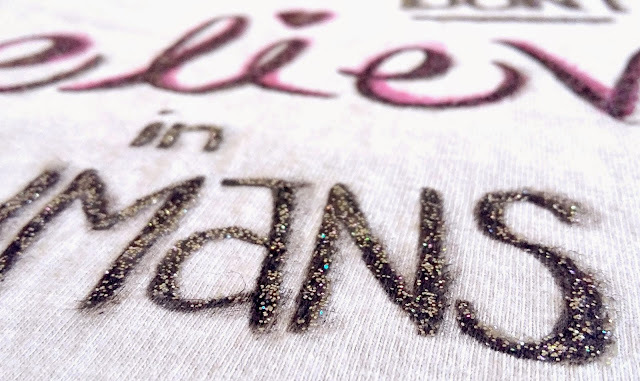 the fabric pens were ridiculously hard to deal with mind, and didn't really capture the essence of the whole unicorn vibe, so i acted how any other thirty year old woman would, and i went out and bought some glitter paint. 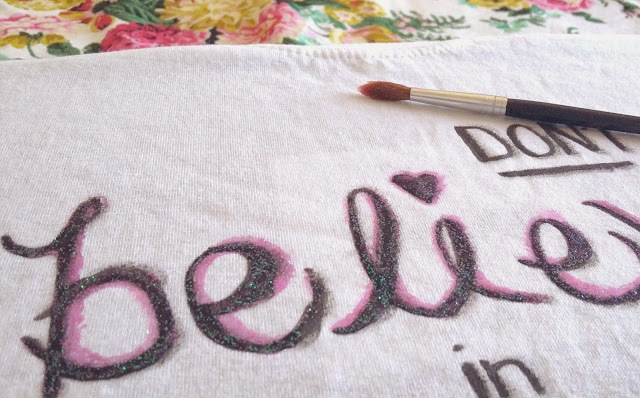 yeeeep, glitter paint. i tried to tidy up the dodgy lines around the writing but ended up just making it much worse. typical! 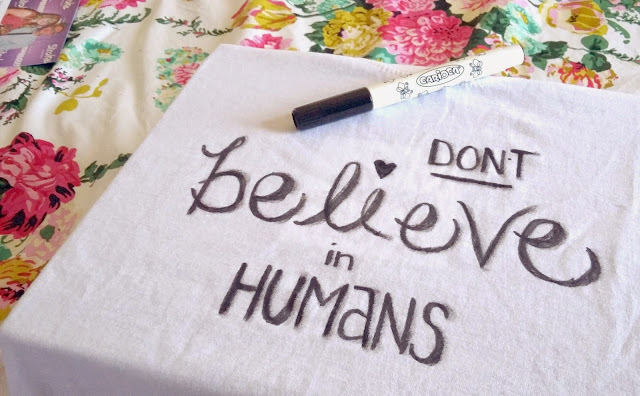 in hindsight some planning wouldn't have gone astray, as i would have liked to make the 'i' in believe larger so it read "i don't believe in humans", but... i still dig it. and it sparkles, which is really the whole u.s.p. 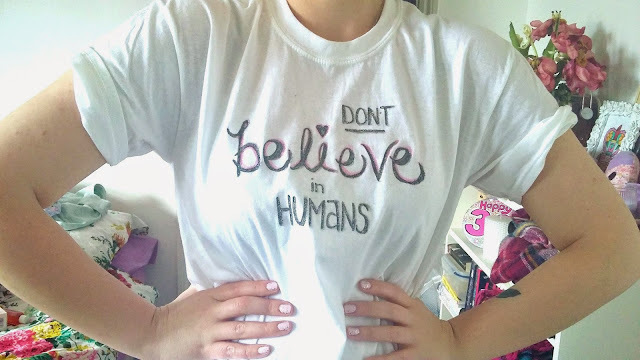 of this tee, right? once all the designs are submitted, you can vote for your favourite, which will then be stocked as part of the style for stroke range; the current range is pretty cool as it is, and £5 from each tee sold goes direct to the stroke association to help in awareness campaigns, and to continue the work they do with people affected by stroke. 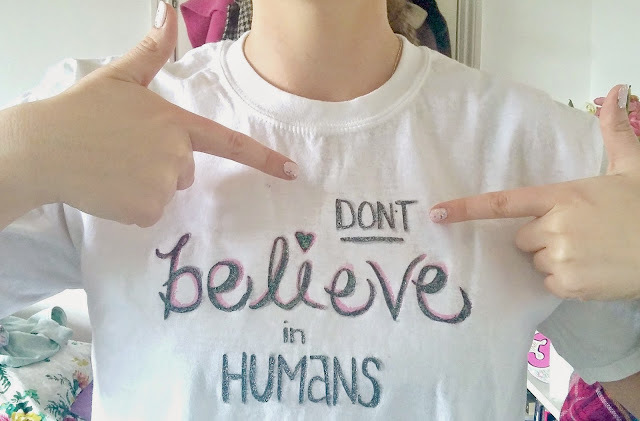 so i urge you to go and vote, and do some good by buying this girl's sparkly tee (when the time comes).